Home » Dog Education , Guest Posts » Bulldog Breeds: Which One is Perfect for You? Bulldog Breeds: Which One is Perfect for You? Having the British origin and desirable character traits, bulldogs are getting popular as household-friendly pets. Their medium-size body stature, smooth coat with a variety of alluring color patches, strong limbs, and wide shoulder bones is adored greatly by children and pet owners. Bulldogs have been selectively bred a lot of times to get the most desired traits in one dog. They are, in general, friendly with people and other pets, social in nature, and gentle at heart. Moreover, they are intelligent, fearless, affectionate, and a little lazy. The list will guide you about character traits of 10 popular bulldog breeds. It will help you decide which one suits perfectly to your lifestyle and personality. Victorian dogs are popular among elite classes due to their loyalty and solemnity. They are trustworthy companions to spend your time with. They are also referred to as “people’s dog” because of their outgoing and friendly nature. They are cute family dogs that your children would love to have in their home. Their patience, docility, and affection with other pets and their owners are irreplaceable emotions. Victorian dogs require proper leadership training as they tend to be a little bossy and fussy at times. Their intelligence and highly interactive traits help them communicate well with their owners during the training process; which makes them quick learners. However, you need to train them gently and slowly as they are not hyperactive. “Gentleness in you” is his top priority. If you are a busy pet-owner, this Victorian bulldog will take care of everything. It is an indoor pet and enjoys temperate weather conditions. He only requires a long walk to fulfill his exercise needs. Being wrinkly requires all Bulldogs to be cleaned with a damp cloth on a daily basis. Bulldogs are good guard dogs and might have issues with streets dogs roaming outside. They love to be in the limelight. You would be required to pay proper attention to your Bulldog regularly. American bulldogs appear aggressive and hostile, but are extremely loyal and courageous. Their firm determinations make them over-protective towards their owners. They adjust quite well to other dogs out there. They are well-adjusted to indoor apartments and small yards. However, your Bulldog can salivate a lot on you! Exercises are good for American Bulldogs to prevent them from becoming nervous, agitated, and uncontrollable. Obedience training is a must for them. Grooming needs include regular brushing of the coat to remove those shedding hair regularly. However, they do not need to be bathed very often. If you like a protective dog that also gets along with other dogs quickly, this American Bulldog is the right choice for you. Their drooling habit can be a bit of a problem!! Bullmastiff is a self-assured, balanced, sober, and gentle-natured bulldog. It is confident and courageous enough to face tough situations. It is usually quiet and gentle, but once triggered, can prove to be quite aggressive. The exercise needs of Bullmastiff are moderate, to maintain a balanced weight. Its training needs include praise, rewards, and leadership training. Continual and life-long training is required to keep them under control. Bullmastiffs are challenging to handle when they are left alone for a long time. They can get aggressive with other dogs of the same breed. They are territorial and protective by nature. Constant supervision and attention are a must to keep them obedient and well-behaved. Bullmastiffs are perfect pets for assertive owners who love to have confident and loyal companions. They are good guard dogs too. Time and training is all they need! The famous French Bulldogs are gentle, friendly, and calm. They are active indoor dogs with a comical mindset. They are quite sociable with strangers and other house pets. 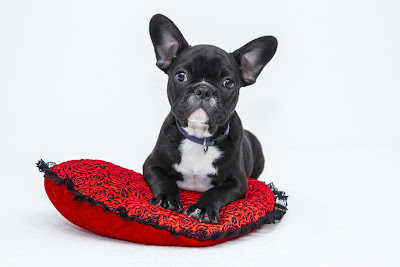 French Bulldogs enjoy with children and active owners. Their hyperactive nature will make you get energized to experience the fun. I use the expression “Living in the NOW” for such amazing experiences. However, Never ever ignore them! They can get snappy and stubborn. A long walk each day is all the exercise a French bulldog needs to have. Grooming needs require you to brush its coat daily as it sheds a lot of hair. If you are seeking an entertaining, gentle, loyal and highly intelligent dog, Australian Bulldog is the one for you. If you love to go to the beach, this Australian Bulldog will love to have a swim with you. They are alert and happy-go-lucky dogs that will teach you how to make the most of every moment. Even if your life has become dull, an Australian Bulldog will teach you how to live to the utmost. Australian Bulldog is an active dog that will play Frisbee with you and accompany you to the beach. It will run around the house to chase the ball you threw. It enjoys long walks and mental stimulation exercises. It requires proper leadership training as well. Grooming needs require daily cleaning and combing of skin and hair. An Australian Bulldog is a perfect choice for active and fun-loving dog owners. He will be with you wherever you go! Valley Bulldogs are gentle, and calm yet funny, and playful. They are intelligent enough to learn different tricks easily. They are a travel-friendly breed that will accompany their adventure loving owner everywhere. For Valley Bulldogs, a long brisk walk will suffice. They are better suited to the temperate climate and indoor apartments. They are heavy chewers so you will need to buy them some durable chew toys. Besides regular brushing of the hair, proper cleaning with a damp cloth is all the grooming that they need to avoid bacterial infections under the wrinkled skin. If you are passive by nature and require calm yet an entertaining companion, Valley Bulldog is a perfect match for you. American Pit Bull Terriers are either loving companions or dangerous fighters. You first need to get the basic information from the breeder to ensure that they are not the aggressive guard dogs. American Pit Bull Terrier requires constant engagement in different activities. It can become destructive when bored. It is a confident, friendly, gentle, and self-assured dog. Pitbull Terrier needs the necessary leadership training to achieve the desired behavior as well as basic grooming for maintaining health. Pit Bull Terrier can get aggressive, and may indulge in a fight if aroused by a strange dog or a neighbor. Despite everything, it is a fun-loving companion. If you want a lovely companion and have time to fulfill its needs, Pit Bull Terrier will keep you engaged at all times. If you are interested in buying Pitbull Dachshund Mix that has similar character traits with a mix of greater fun for your children, you can get the information here. Olde English Bulldogge is a brave and self-assured pack leader. It is protective towards its owner and requires strong leadership training to be controlled. It is again a heavy chewer and loves to have a lot of durable chew toys. It cannot bear too much heat or cold weather conditions. Olde English Bulldogge is hyperactive, and it requires a lot of exercises and training to channelize its energy positively. Grooming needs require regular skin cleaning and hair combing. If you are a good leader and want your dog to be like you, Olde English Bulldogge will greatly reflect your personality. It will help you stay active and alert by taking a lot of your time for its exercises and fun. Alapaha Blue Blood Bulldog has dual qualities of a watchdog and a guard dog. It is “highly-protective and loyal” to its owners and can face death to save its owner. It is active, alert, intelligent and hyperactive bulldog breed that requires a lot of leadership training to be kept under control. After all, Mr. Bossy needs to learn that you are the real pack leader. Alapaha Blue Blood needs a big yard to sharpen its athletic skills regularly. A lot of exercises are necessary to keep up with its high energy levels. . Its grooming needs involve hair combing to remove dead hair and skin cleaning to avoid infections due to heavy sweating. It requires proper bathing every two weeks. Alapaha Blue Blood is a perfect companion for children to keep them engaged and safe from dangers. Boxer is an alert, confident, and self-assured guard dog. It is playful in nature and patient with children. It will display courageous and fearless attitude in front of strangers and unpredictable situations. Boxer is a highly trainable dog that is affectionate and obedient to commands. It requires a regular walk to fulfill its exercise needs. Grooming needs involve a necessary cleaning and combing of skin and hair respectively. If you want a guard dog with an attitude and a gentle behavior, Boxer is a perfect fit for you. Whatever you may choose, search for complete information about the breed and the breeder and consider your lifestyle + personality to get a perfect match for you. This is a guest post by Fiona Appleton, a Labrador owner. 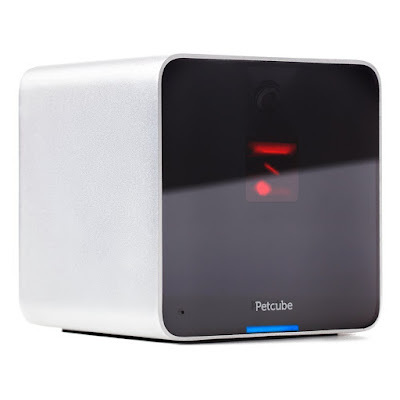 She is the manager of https://ultimatehomelife.com/ that has been developed to help people solve the troubles of pet ownership. She is an active advocate of animal protection campaigns. She wants people to understand that dog-behavior is reflective of our behavior.